Provides unmatched water clarity for your pond. 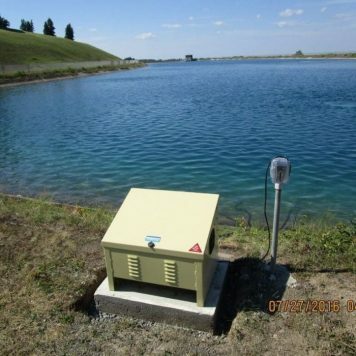 Clarifiers provide a safe, chemical free answer for eliminating green algae water. Use the Savio UVinex UV Clarifier System for Savio SkimmerFilters to greatly improve water clarity problems in your pond. Sometimes using just a Skimmer or filter is not enough to get clear water. UVClarifiers are a safe and chemical free solution for removing green algae water. Green algae water can be caused by Planktonic (pea soup colored water) and Filamentous (stringy algae). In additional, other biological causes such as high nitrogen levels can cause cloudy water. All these issues and more can be corrected by using a UV Clarification System. 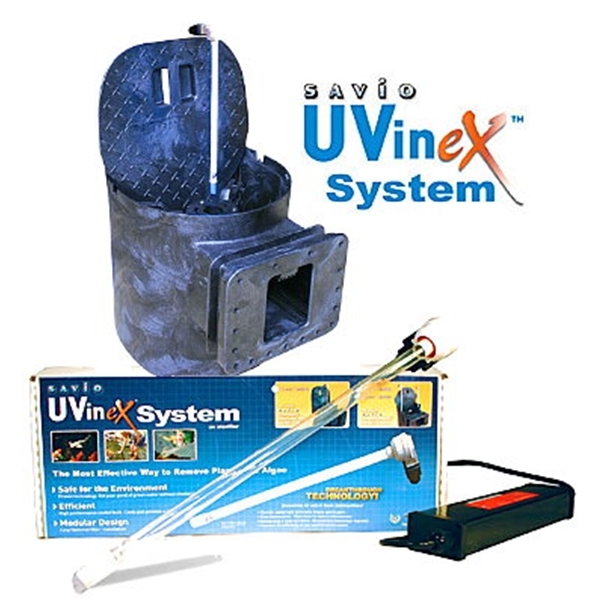 By adding a Savio UVinex UV Clarifier System for Savio SkimmerFilters you will increase the total filtration of your entire water system. This system comes fully assembled and is ready to install on your Skimmer. 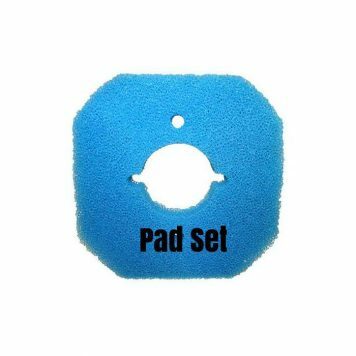 Designed to mount directly onto your Savio SimmmerFilter. No plumbing knowledge required. Place in SkimmerFilter then twist and lock in place; then plug transformer into 110 outlet and then it ready to start working. Includes Transformer and the total dimensions are 4.25″L x 2.5″ W x 1.25″ H. If you need a smaller unit see the information below for the 18 watt compact unit. A natural way to control all types of unwanted algae. 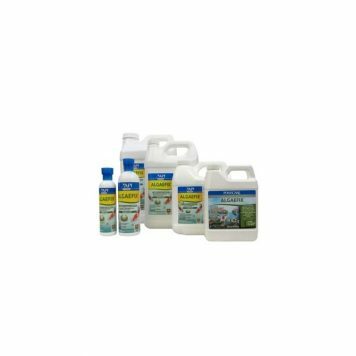 Control of parasites and bacteria to make your pond safe for children, pets, fish, native animals, plants and birds. The UV bulbs should be replace every year to insure their effectiveness. Even though the UV bulb has a protective covering, take caution when handling, it is very fragile. . In addition during the winter months, remove the bulb completely from your system if temperatures fall below 40 degrees. Use One unit in ponds up to 2400 gallons.